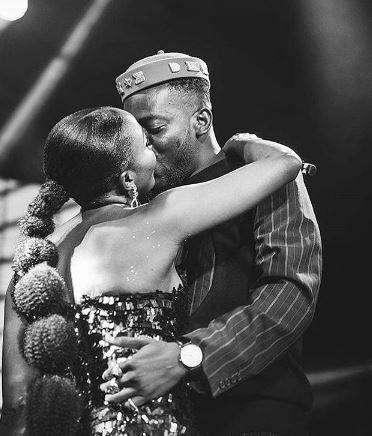 Jamb Question crooner, Simi is currently stirring up the internet as she shared a picture showing herself sharing a kiss with Adekunle Gold at her concert which also featured Falz. Both singers have been rumoured to be in a relationship, so fans took the picture to mean they have finally come out of their shell. 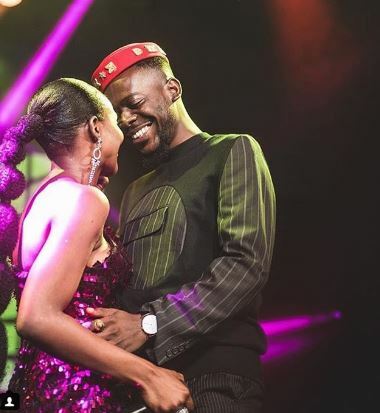 When Simi discovered the massive reaction the picture was getting on Instagram, she quickly removed it and replaced it with the one showing the both if them just hugging and smiling at each other. Also noticed is the picture Simi took with Falz on the same stage with the same outfit. In the picture, she can be seen giving him a friendly hug. 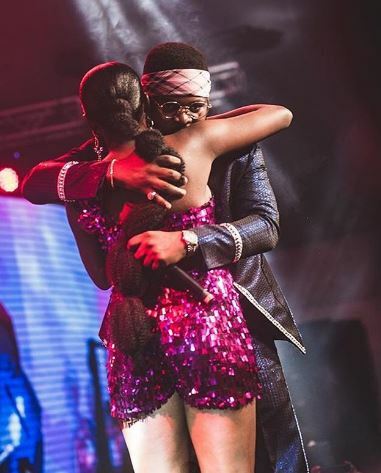 Recall that sometimes ago it was rumoured that Falz and Simi were in a relationship and they sang some some songs together.